Georgia is not typically associated with earthquakes, but fault lines do run through Georgia. The Great Valley fault extends from Chatsworth to Cartersville and the Brevard fault runs from Atlanta to Stephens County and then to Brevard, N.C. These faults, as well as the New Madrid fault in Arkansas and Missouri, have produced earthquakes and tremors in Georgia on multiple occasions. Georgia also is home to two nuclear power plants. The Edwin Hatch plant in Baxley has two units, which have been operating since 1974 and 1978 respectively. The Alvin Vogtle plant in Waynesboro also has two units. These came online in 1987 and 1989. A new reactor is currently being built at Plant Vogtle. Other states bordering Georgia also have additional plants such as the Savannah River Site which is located in South Carolina near Augusta. Hatch’s Unit 1 is only three years younger than Fukushima Daiichi plant in Japan that is center of the current crisis and has the same GE Mark 1 boiling water reactor. Nevertheless, experts point out that the problem in Japan is not with the design of the reactor itself, but with the fact that the earthquake and tsunami cut off electrical power to the plant. Diesel backup generators then came online, but stopped working several hours later. At that point, the pumps that provided water to cool the fuel rods ceased to function. The Wall St. Journal reports that the Japanese engineers failed to cool the rods with sea water until it was already too late. The Nuclear Regulatory Commission’s assessment was that the tsunami was primarily responsible for the loss of power in the Japanese plants. The damage caused by tsunamis is limited to coastal areas about 1,000 feet from the water. Georgia’s nuclear plants are far enough inland that they would not be threatened by a tsunami. The NRC further states that U.S. nuclear plants are designed to withstand the largest magnitude expected in their area plus a safety margin. The Japanese plants withstood an earthquake magnitude of 9.1. Georgia earthquakes have historically been limited to about six on the Richter scale. The Union of Concerned Scientists claims that many U.S. plants, like the one in Baxley, have the same vulnerability to loss of main and backup power. The group says that the Japanese plant had batteries that supplied the plant with electricity for eight hours, but engineers could not restore power in that time. According to the U.C.S., many U.S. nuclear plants have battery power that only lasts four hours. The instability of the world’s oil supply and its increasing price, along with concerns over global climate change, make nuclear power an important part of America’s future energy plans. While Georgia is not in imminent danger of an earthquake or tsunami, there is the possibility of power loss from other sources. As the U.C.S points out, fires, which can be caused by earthquakes, can pose a significant risk of damage to a reactor’s primary and secondary power systems. In the U.S., fire protection standards were updated after a 1975 fire at Brown’s Ferry near Decatur, Ala. which threatened the plants ability to control one of its reactors. Changes to the standard in 2010 allow individual plants to evaluate their own fire risks. 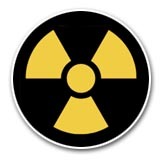 Some claim that this standard is too weak and point out that many U.S. nuclear reactors are in violation of fire codes. In spite of its potential as clean energy, nuclear power has long had strong opposition in the United States. No nuclear power plant has been built in the U.S. since 1979, the same year that the Three Mile Island incident occurred. As a result, the U.S. does not rank in the top ten nations according to the percentage of electrical power provided by nuclear energy, but ranks first in the number of reactors shut down. According to the Energy Information Administration, the U.S. gets just under 20% of its power from nuclear energy. More than 76% of France’s energy is nuclear.